Ptarmigan (with a small p) was formed in Vancouver B.C. in 1970 by Michael Bieling, James Lithgow and Glen Dias. Soon after the band’s formation Monte Nordstrom and Shawn Mullins were added to the line-up. The band performed in coffee houses and small venues around the Vancouver Island and Victoria areas and attracted the attention of world renowned American flautist Paul Horn who had just moved to B.C. In 1971 the original line up fragmented reducing ptarmigan to the duo of Nordstrom and Dias. In 1972 the duo went to Ontario where they played some local clubs in Ottawa and Toronto making some impressive connections in the music industry , then headed back to Vancouver where they again met up with Paul Horn. Horn was so impressed by the duo’s music, he signed them to a publishing and recording contract. 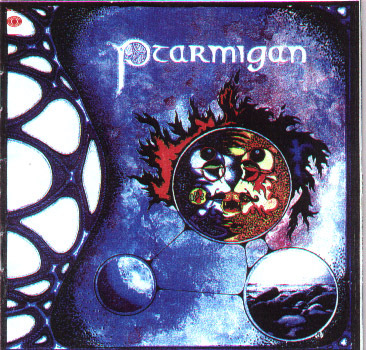 Ptarmigan went into Canbase (Mushroom) Studios in Vancouver during the fall of 1972 and recorded some basic tracks that would eventually become the ptarmigan album. After the tracks were recorded it took Paul Horn nearly a year to sell the project to a label and in 1974 , Columbia Records of Canada released the self titled ptarmigan album. The music on the album combined elements of jazz, folk and progressive rock. Based around a flute, percussion and guitar interplay, the songs experience eastern influences, various moods, time changes and are rather simply structured yet complex in nature. Based around themes of nature and musical landscapes today the music could be classified as new age or environmental. When the album was originally released in 1974 it did not sell well at all because of its non-commercial sound but over the years it has become a collectors item especially for progressive rock fans. This is the first legitimate reissue of the Columbia album entirely done by band member Monte Nordstrom on his own GrooveDigger label. This limited edition, remastered version of the album features the original artwork along with four bonus tracks and a detailed booklet that contains band photos, as well as an in depth essay on the band and the recording of the album.